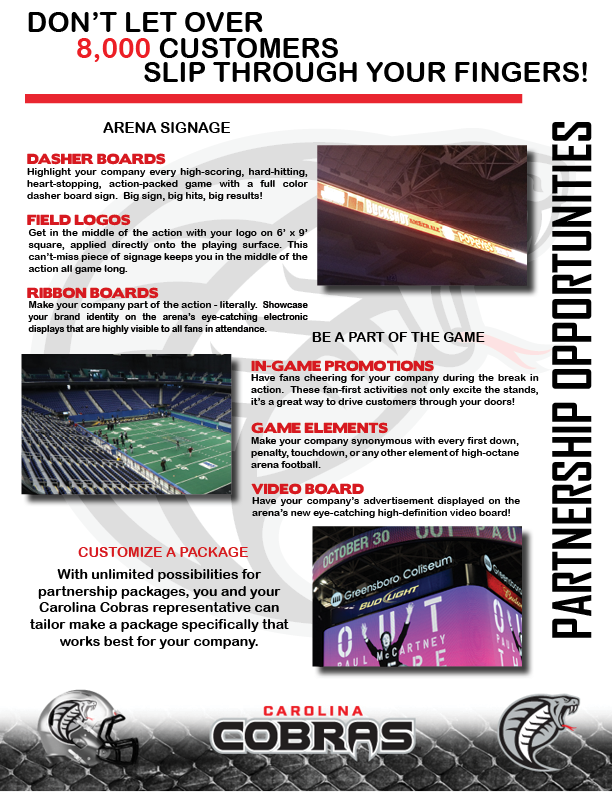 Join the Triad’s newest game in town and tap into a huge fan base with a customized advertising partnership with the Carolina Cobras. Please CLICK HERE to download our Corporate Partnerships Playbook, which contains detailed information about our available advertising opportunities. To speak to a member of the Cobras regarding your advertising plans, contact Brian Cassidy (bcassidy@carcobras.com) or call 336-455-7232.